CHECK OUT THIS WEEKS MUSIC HERE! MUSIC IS ALSO ARCHIVED IN THE SIDE CATEGORIES! I love this selection, its a beautiful song. I never heard of this artist before. It definitely fits the Twilight world. I love the music you pick for the end of the podcasts!!! I’ve been writing them down to make a playlist of just the music. It is wonderful! Thanks for all you do. Love the song. I went to itunes to check him out and I love the whole album. Many good songs, check out beautiful. Hey Kelly!!!!!!! I love the idea of Twitunes. GREAT IDEA, GIRL!!!! Did Kami do the pics? Anyway, I’ll see ya later! I really love the site!!!!!!!!!! the runaway dorothy song is awwwsome!!! Luv it , i even made my dad listen in on it!! the chorus is soo big and bouncy and dark at the same time!! 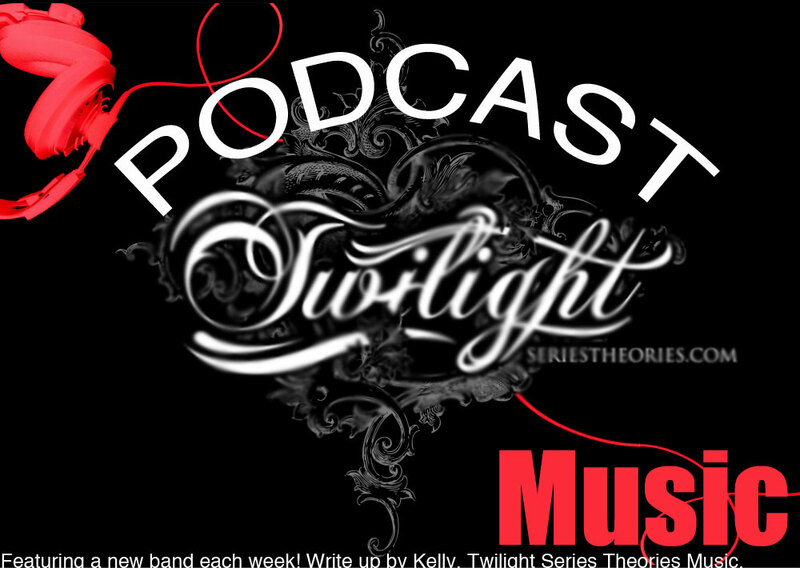 I love the song for the Twilight Movie Review~ Week 41 but I couldnt find out what it was called. If anyone could tell me that would be great!!! BTW I love the podcast!!! what song is on episode 41? the song on episode 41, is it on itunes? Thanks I found it too. I looked all over the internet until I found it. I’m so mad its not on itunes! I love that song! But thanks again for finding it. A couple of days ago I was looking on this website for the name of the music played in your Podcast for Week #49, and found the title listed as “Nancy Bird” by Sore. I have tried and tried to find this track, but can’t find it anywhere! Not on iTunes, not at Amazon, and not in a Google search. Where did you guys dig this song up, anyhow? I love it, by the way, and really want a copy. Where else should I look? Also, now I can’t find a reference to this song on your website anymore. Am I going crazy? Kingsfoil is great and like the way you move is my favoriter song. and another good one by them is called bear in the attic. its really good!! people i need help. what is the name of the song from week 51? i love it but havent seen any comments about it. if u listen to the lyrics it is like in twilight when edward watchs bella sleep. its like he wrote her a personal song (one with words, thats only musical insturment is not a piano, lol) but anyway please help me! Does anyone know the name of the song in week 55? I can’t find it anywhere ): I’ve tried looking up the lyrics but nobody has the name of the song!